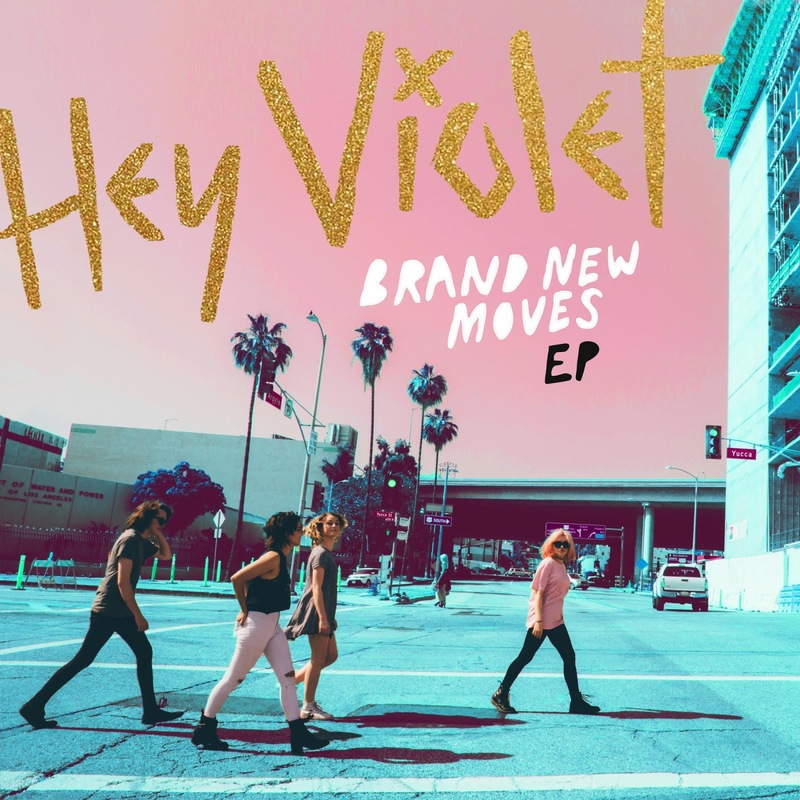 With a loyal and passionate fanbase built through non-stop touring, as well as their well-received debut EP, 2015’s I Can Feel It, Hey Violet are excited to reveal their bold, new, synth-driven sound with Brand New Moves. The L.A.-based band have been in the studio for the past six months co-writing the songs with producer Julian Bunetta. “We’re ready and excited to share this new material with our fans’ says lead singer Rena Lovelis, who has stepped up to assume frontwoman duties. “we love this sound with more synths and drums that sound really fat and big, it’s got a groove”. The band played two sold out shows in London last year as well as supporting 5 Seconds To Summer at Wembley Arena. A new UK tour will be announced shortly. Hey Violet — which is Rena, her sister Nia Lovelis (drums), Miranda Miller(keys, vocals) and Casey Moreta (lead guitar) — have been playing together for several years, and making music individually since they were old enough to ask for lessons. Hey Violet got their first taste of rock stardom last year when thousands of kids poured into the streets of Europe and the UK at their spontaneous acoustic sets documented here. On iTunes I Can Feel It went to No. 1 in five countries, including the U.K., and Top 5 in 10 other countries.